Most people don’t know this, but coffee grounds are an excellent fertilizer and compost material. Not only do they bring much-needed nutrients to plants, they also help improve drainage in the soil so your plants don’t drown in too much water. They are also good at keeping unwanted pests away. Coffee grounds are not the only coffee product that works great for gardening. You can also use your coffee filters to help hold the soil around your plants. 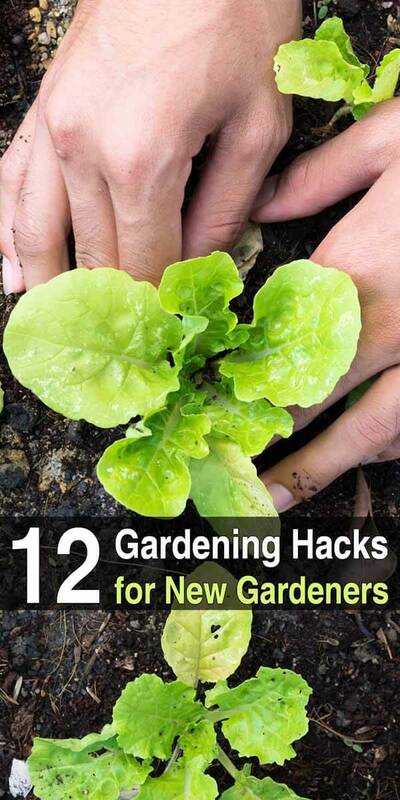 Many newbies to gardening will struggle with the soil leaking out of their pots. This makes it hard for plant roots to grow and get the nutrients they need. You can prevent this from happening by placing a coffee filter inside a small pot and then filling it up with soil. This allows your water to drain out while keeping in the soil. If temperatures suddenly drop to freezing without warning on a spring night, it poses a real danger to the plants and crops that you’ve already grown. However, simply placing a plastic bucket over these plants during those freezing temperatures should keep them safe. Fungus is a major enemy of plants, which is why gardening companies have released a number of anti-fungus chemical treatments. The problem is that these treatments are expensive (at least the ones that actually work). Fortunately, there is a cost-effective way to effectively protect your plants from fungus: the chamomile tree. After brewing the tea, simply pour it into a spray bottle and spray it directly on the branches and base of your plant on a weekly basis. After picking your grown herbs, the fastest way to dry them is to lay a flat sheet of newspaper down in your car. Set the herbs down on the newspaper (making sure that none of the herbs are laid on top of one another), shut your car, and park it in the sun. Not only will the herbs dry out in just a matter of minutes, they will leave a refreshing smell in your car as well. Note: You can also try this in a sunny spot in your house. Ants are just one of many pests that gardeners frequently have to deal with, but you can deter ants from attacking your plants by boiling citrus peels (oranges, lemons, etc.) and pouring that water in strategic areas around your garden. The smell of the citrus will convince the ants to turn back. Eggshells are an excellent fertilizer because they are very strong in calcium, which is a very healthy nutrient for plants since it helps them build up their cell walls. The shells can also help to ward off pests due to their jagged edges. Make a habit of saving your eggshells, breaking them into smaller pieces, and sprinkling them around your garden. Sprinkle baking soda around the base of your tomato plants. When the tomatoes grow, they will taste much sweeter than they would otherwise. It’s as simple as that. Take plastic forks and stick them in the ground with the pointed edges facing upright. It probably won’t deter your garden against insects or slugs, but it will deter it against squirrels, birds, raccoons, and rabbits. Take any water bottle and poke holes in the bottom. Fill up the bottle and then place it into the soil next to your plants. The water will slowly drain out of the holes into the soil. This is better than simply pouring the water on your plants because it’s better for them to be watered on a continuous basis while making sure even the deepest roots are fed. It’s possible to make an entire garlic crop with only one bulb. Take any bulb and break it down into individual cloves. Every clove can then be grown into its own plant. Here’s how. After learning this tip, you’ll probably never throw out old vegetable scraps again. Take any scrap of vegetable and place it into a pot of healthy soil. Make sure the soil is moist. Simply research how to re-grow specific vegetables online. It’s certainly a lot cheaper and easier than actually going out and buying entire seeds or plants, and will definitely be a frugal way to garden from a survivalist perspective.